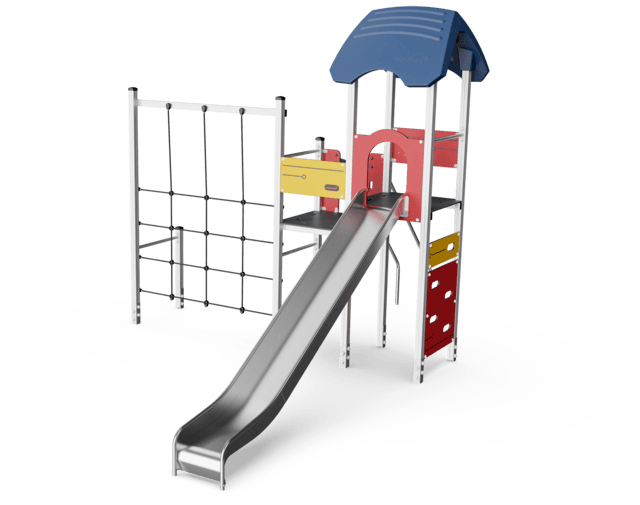 Climbing and sliding are eternally popular with school age children. 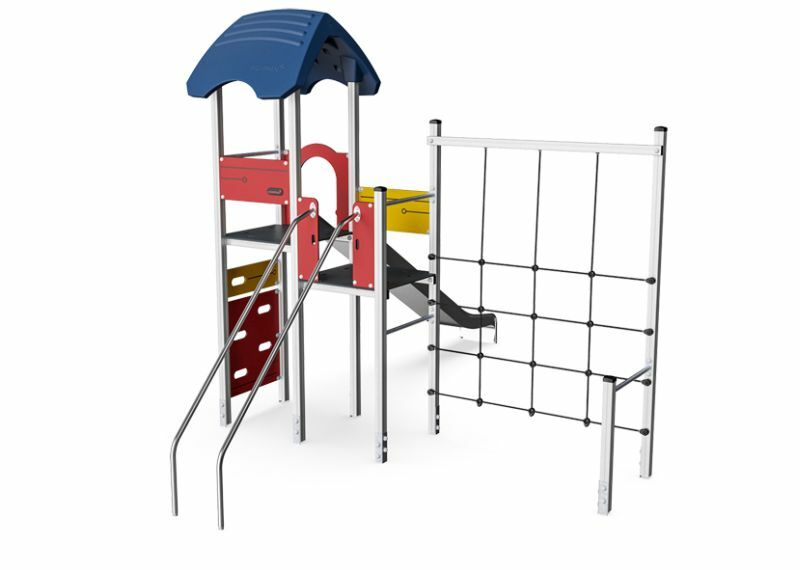 This dense play unit offers a wide masked net for the heavy, big movement climbing – also allowing for a seated break with friends - a climbing wall for the two dimensional, Banister Bars and a slide for stomach tickling back to the ground. 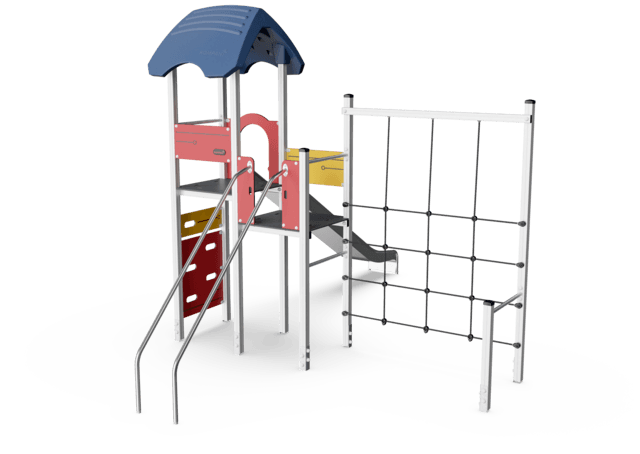 On ground level, a somersault bar allows for somersaulting, hanging in the knees or just being seated.